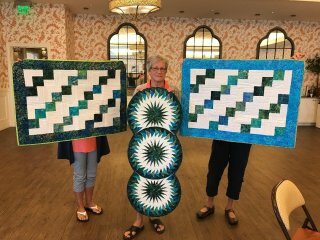 Left and right in photo below: quilts donated to our chapter charity, Lakewood School for Disabled Children. 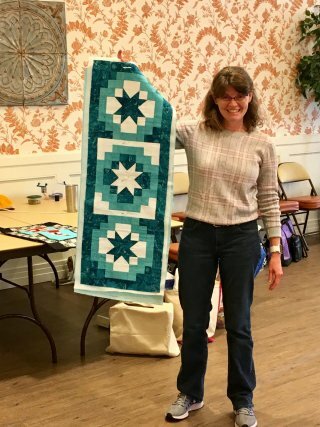 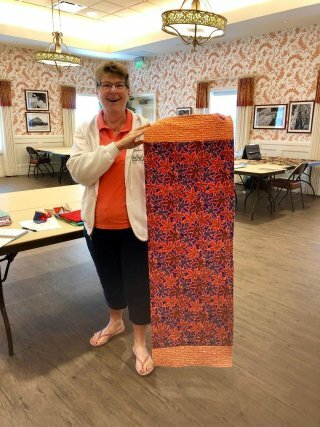 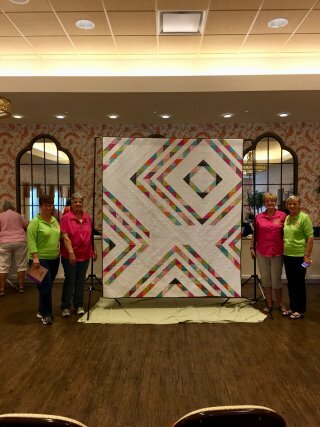 Center: Paula is holding a table runner she made years ago using paper piecing. 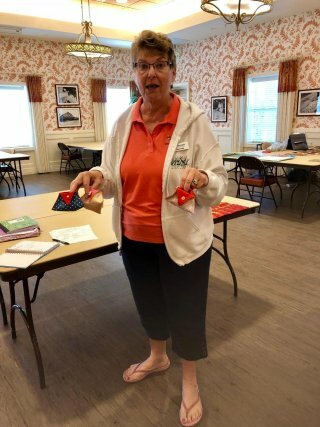 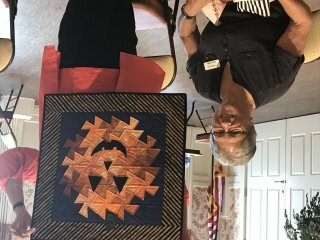 Kathy and her paper piecing projects. 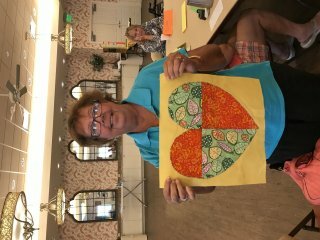 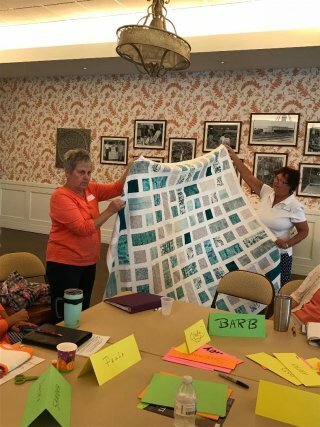 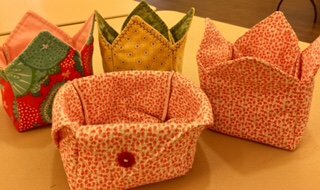 Barbara, Penny, and Kathy showing more projects from last week's educational program on paper piecing. 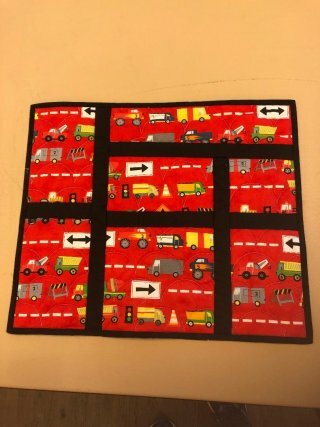 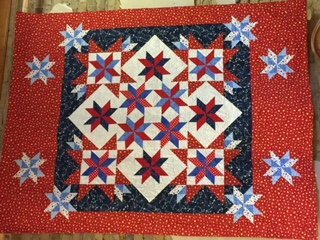 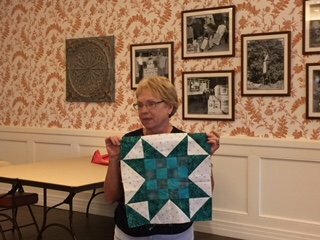 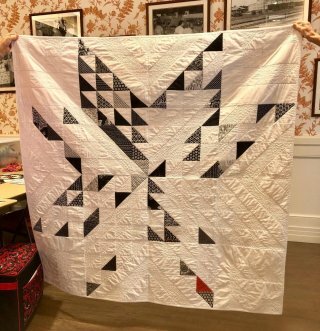 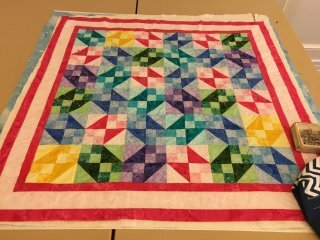 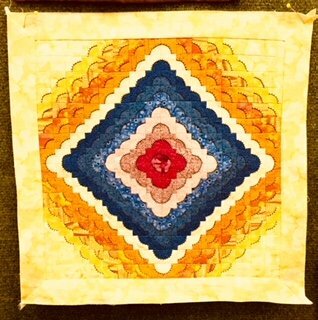 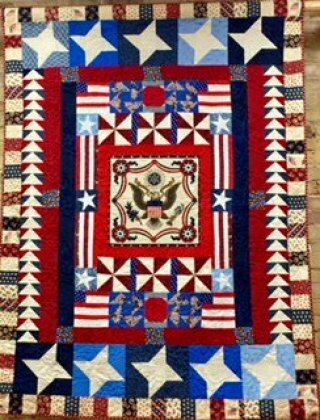 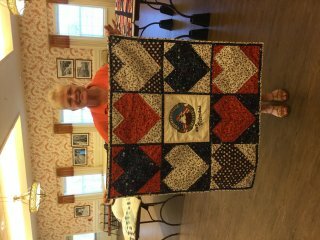 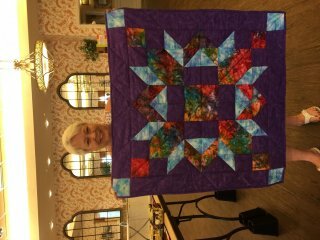 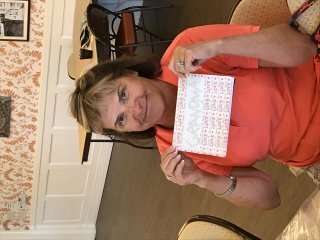 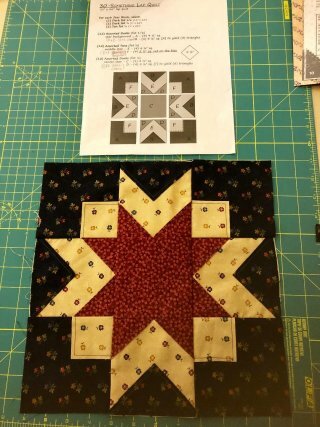 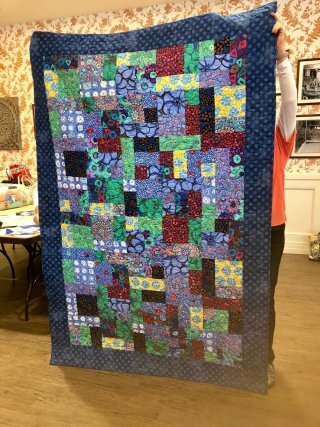 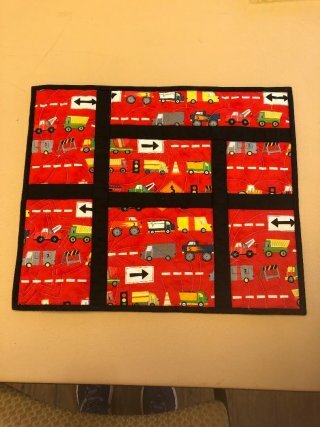 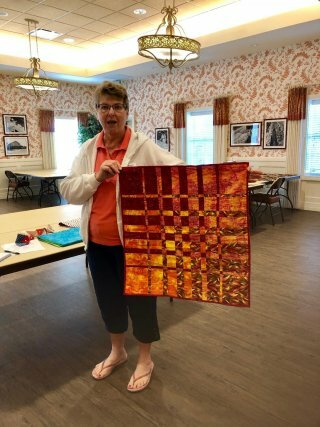 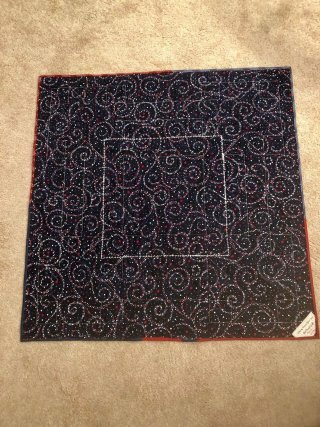 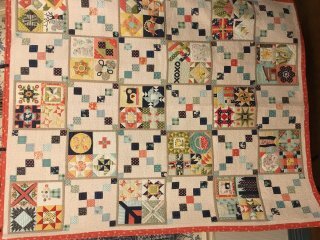 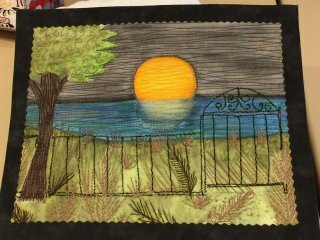 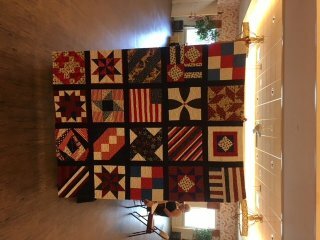 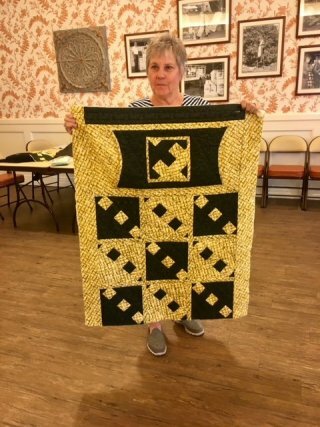 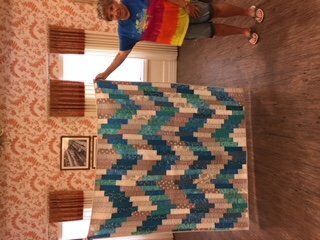 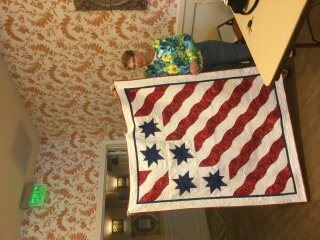 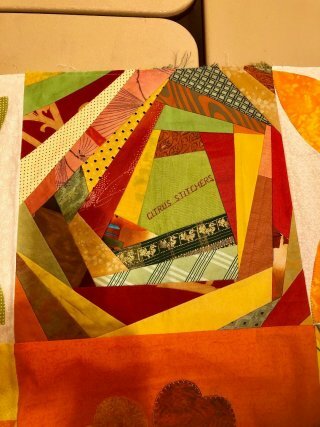 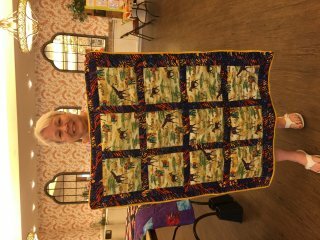 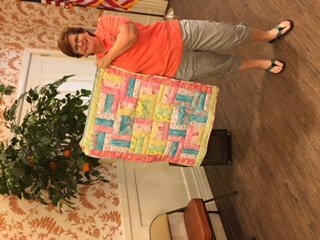 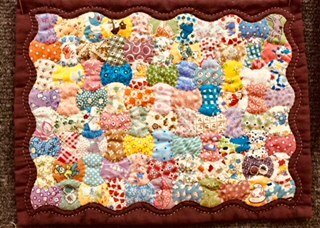 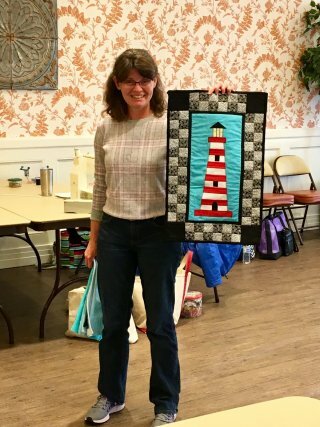 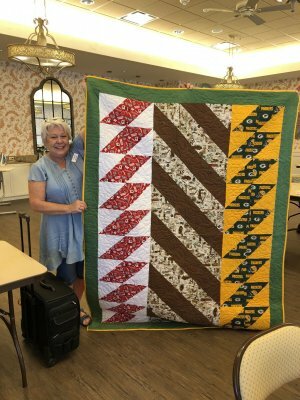 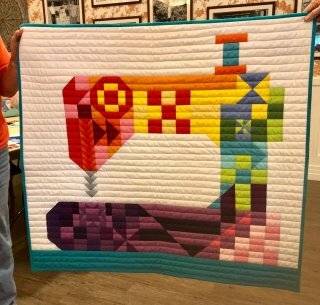 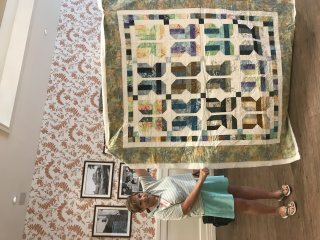 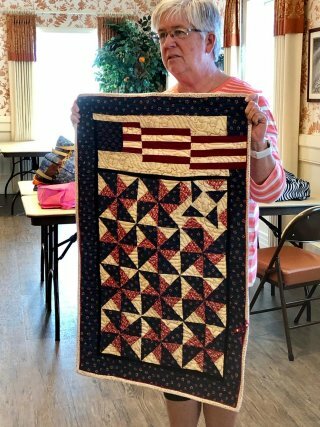 Bo and her completed block from Augusta Cole's class, "Scrappy Quilting." 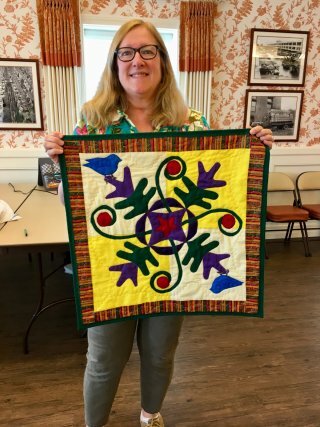 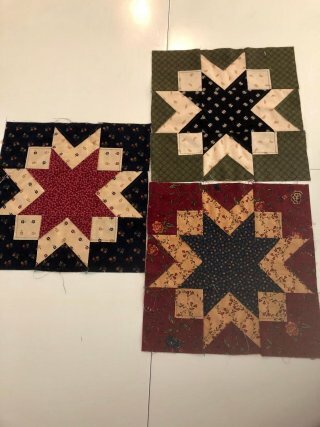 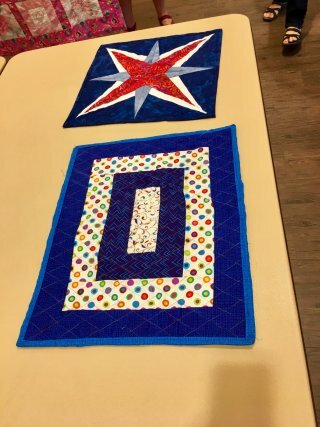 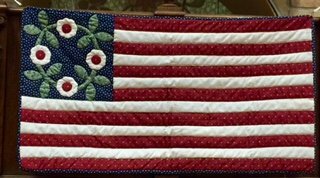 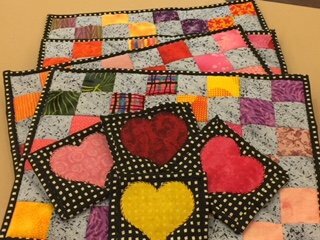 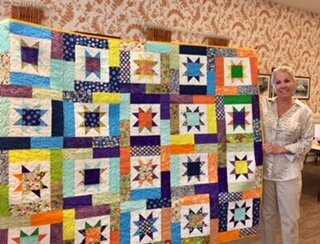 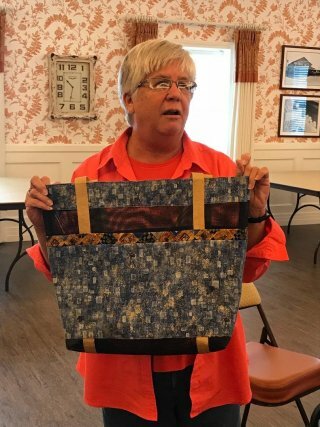 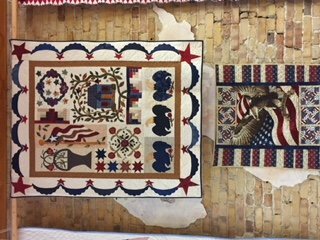 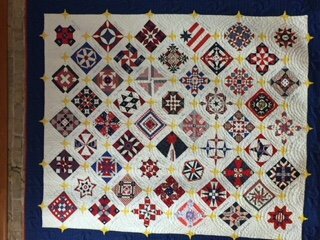 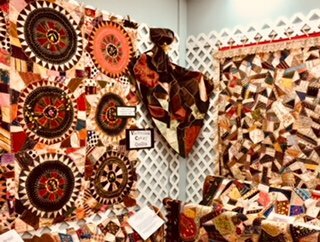 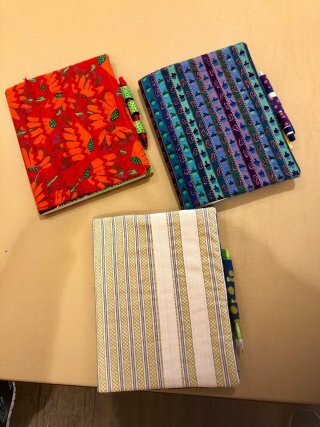 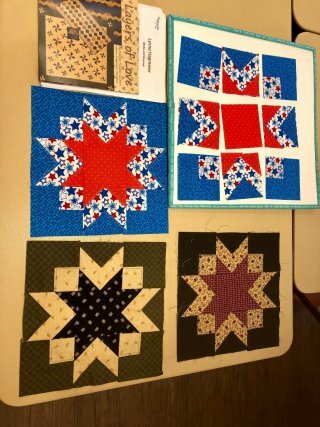 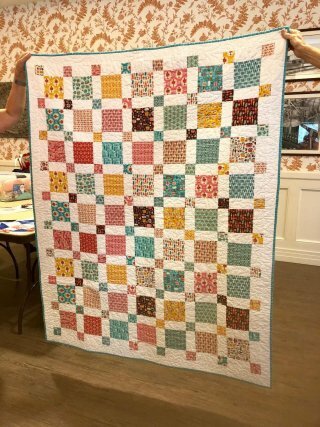 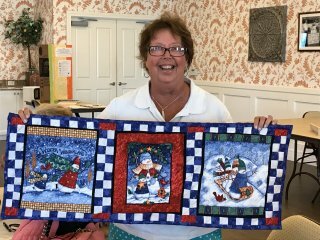 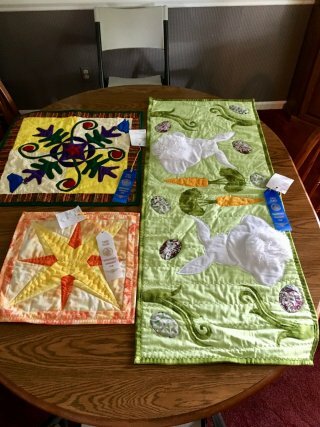 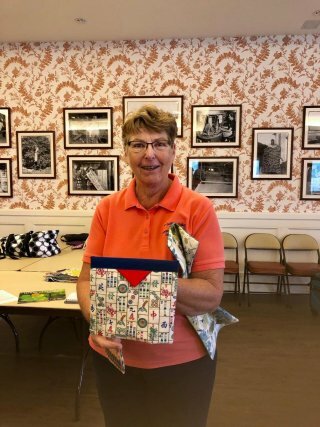 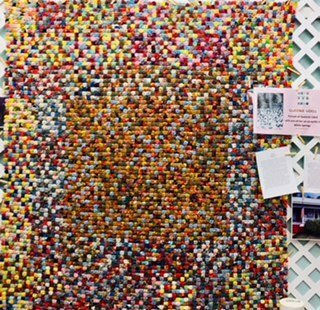 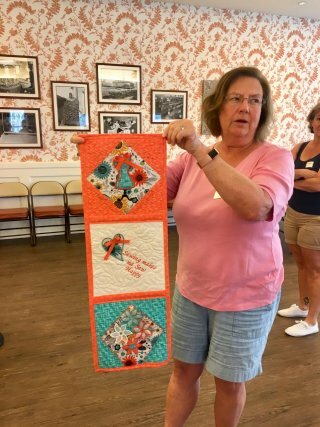 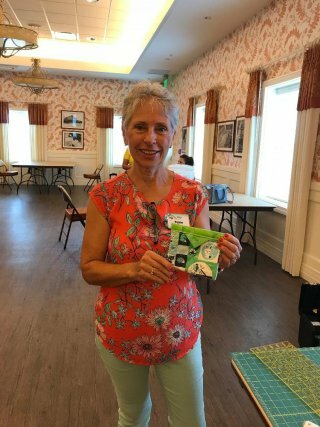 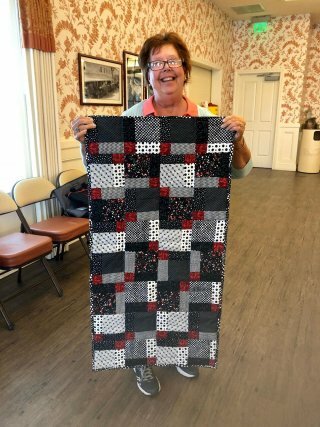 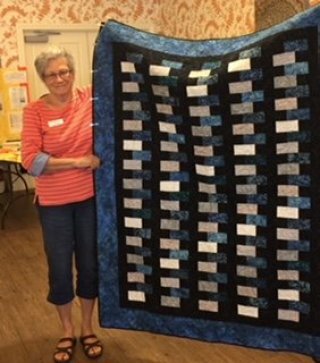 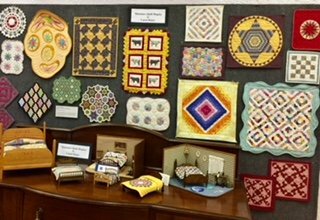 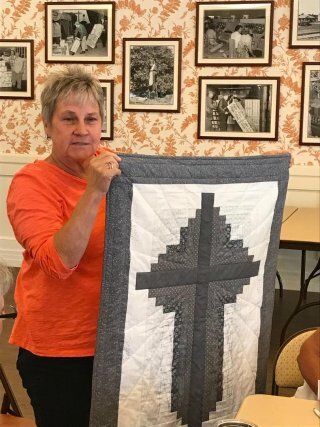 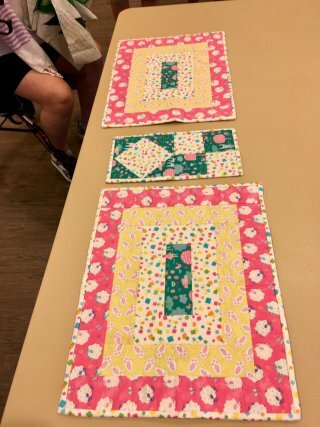 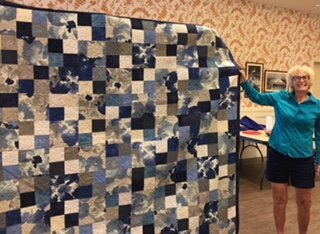 Mini-quilts, made by Gloria, received 2 blue ribbons (1st place) and 1 white ribbon (3rd place) at the Schnecksville Community Fair in Schnecksville, PA (June 19-23, 2018). 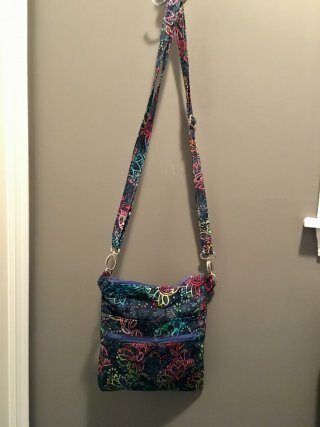 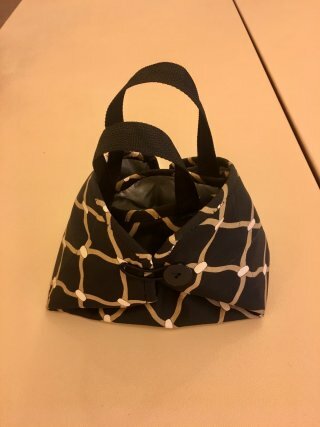 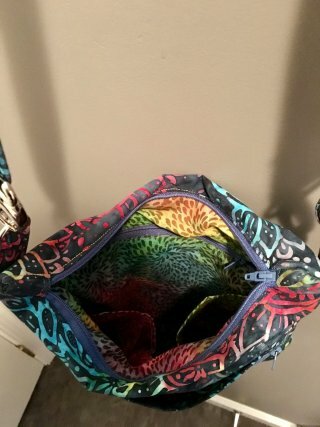 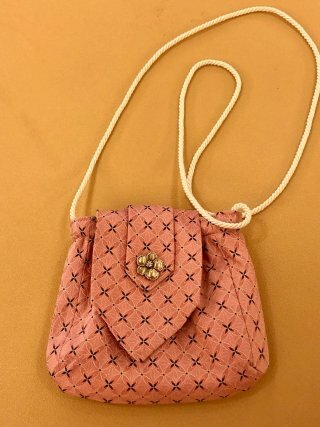 Cross-Body Bag with 3 zippers. 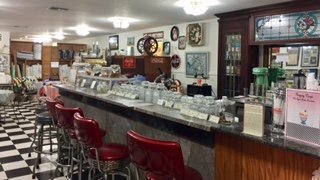 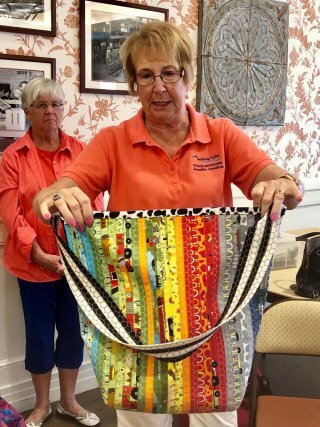 Show and Tell from Gloria, in Pennsylvania. 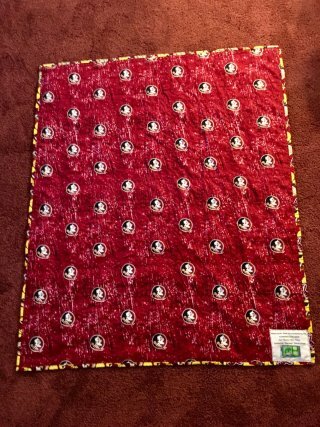 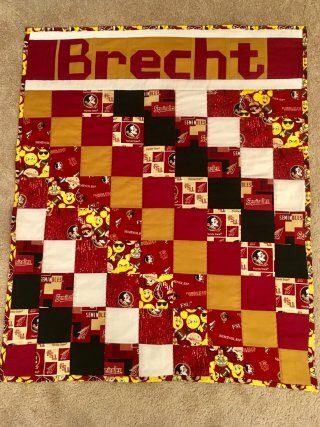 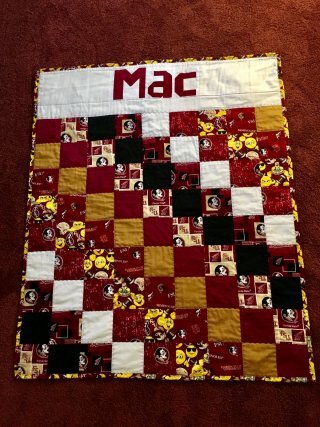 "Name Quilt," using Florida State University Fabrics, for Gloria's 10th grandchild, "Mac." 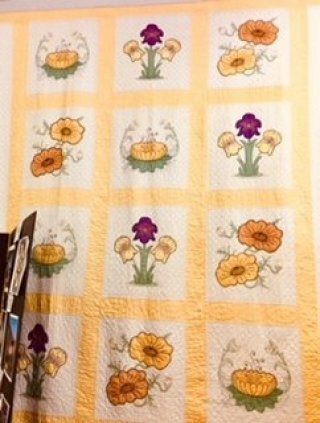 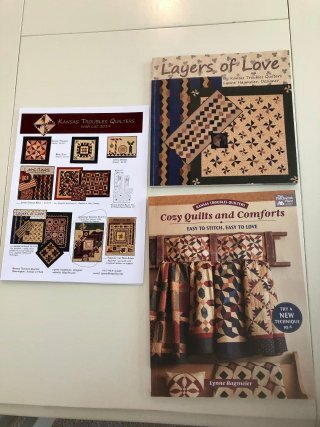 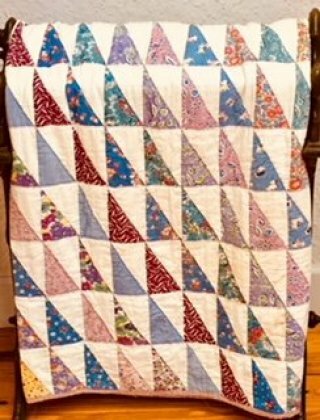 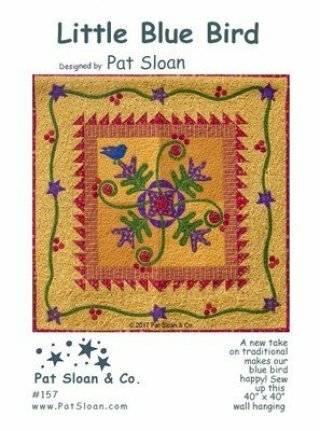 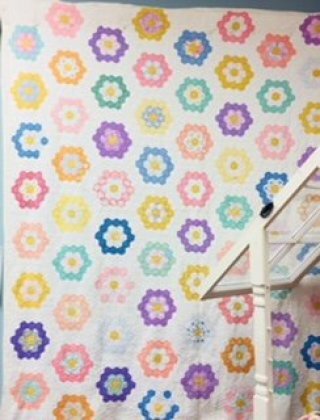 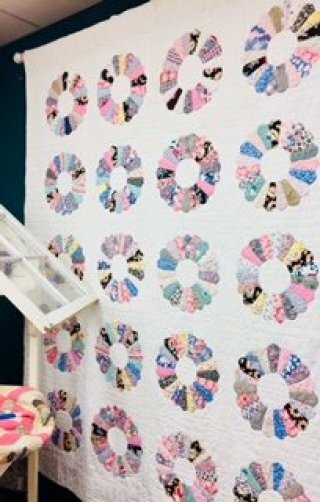 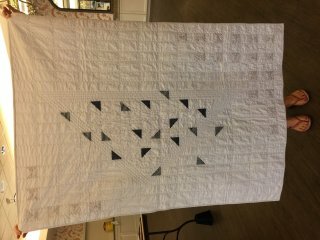 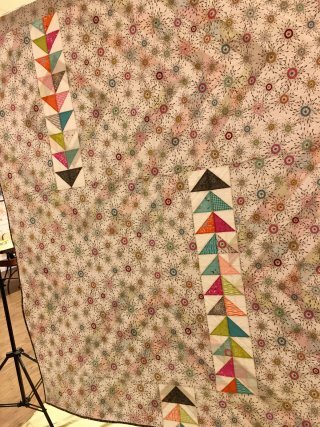 Quilt Pattern, "Playing the Scales"
Click on link above labeled, "Quilt Patterns 2018 May" to find this and other free patterns. 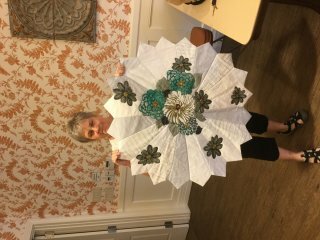 Paula with wall hanging made with the Twisted Tool. 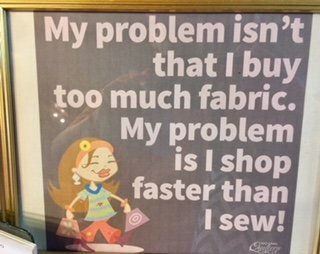 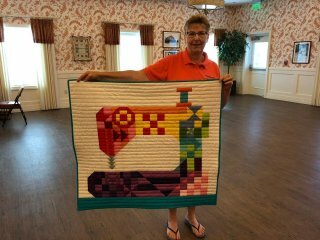 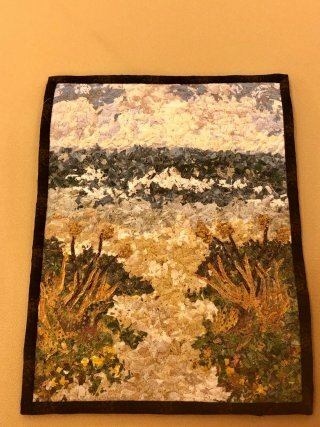 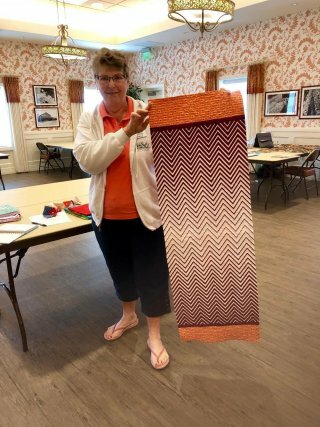 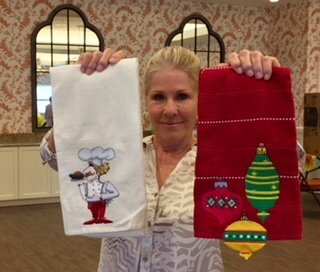 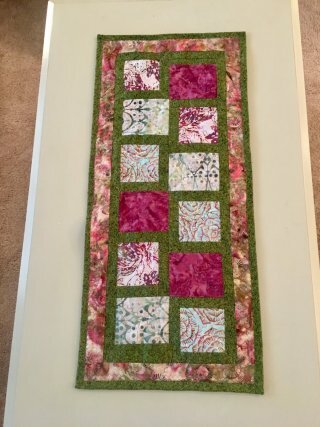 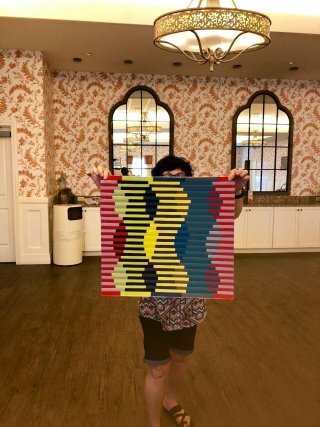 Paula with another wall hanging made with the Twisted Tool. 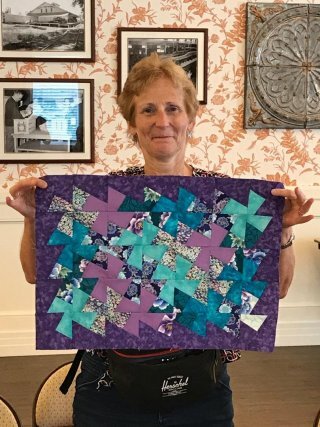 Susan with a batik butterfly quilt top. 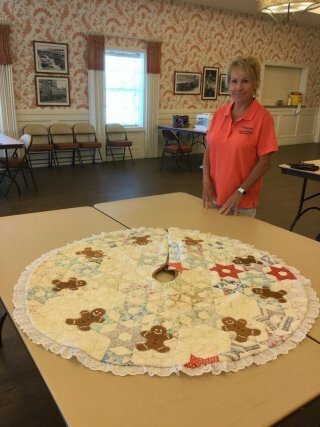 Jolie with her appliqued table topper. 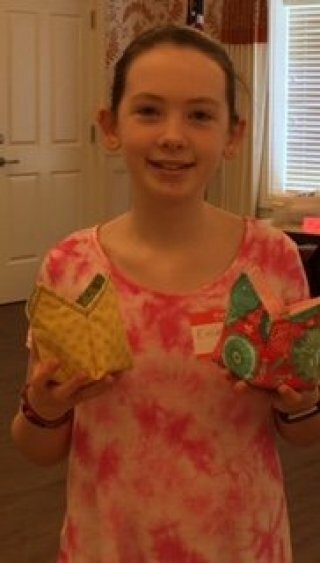 Jolie with fabric origami butterflies. 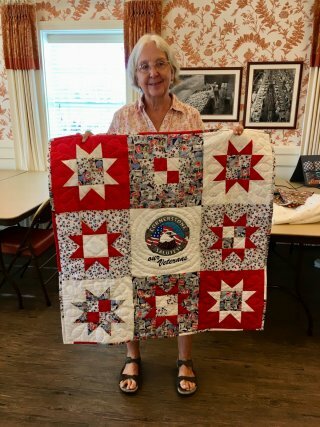 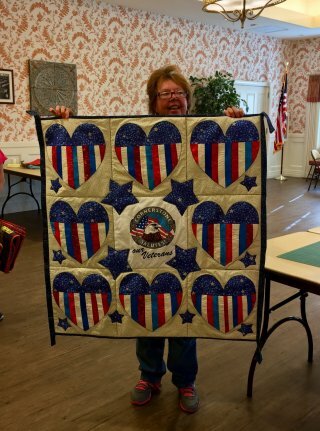 Gwen with her Honor Flight quilt donation. 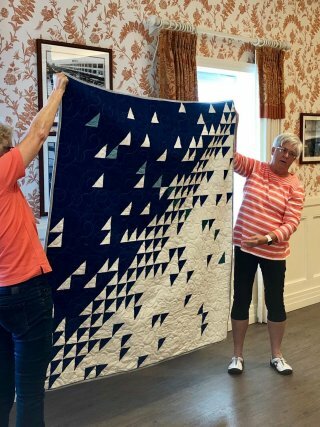 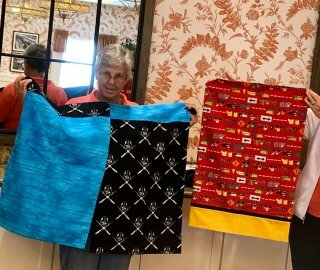 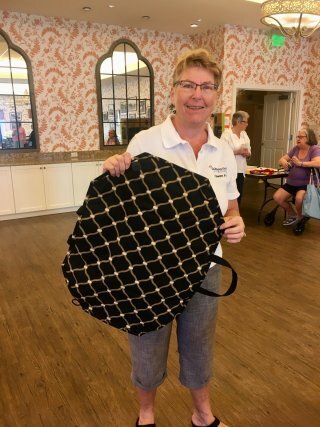 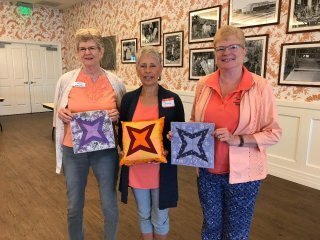 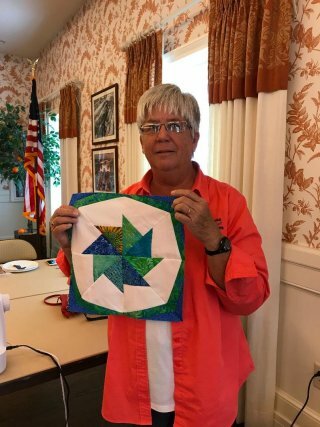 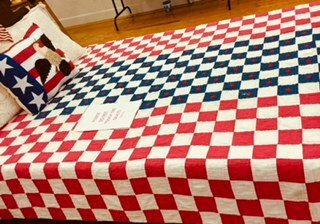 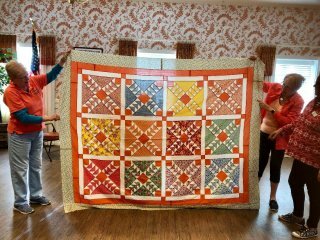 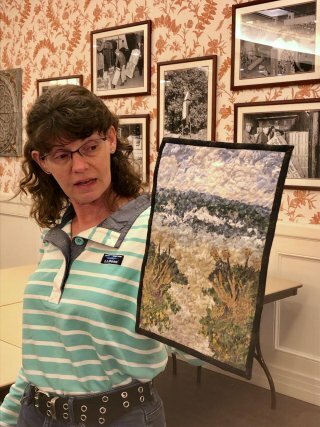 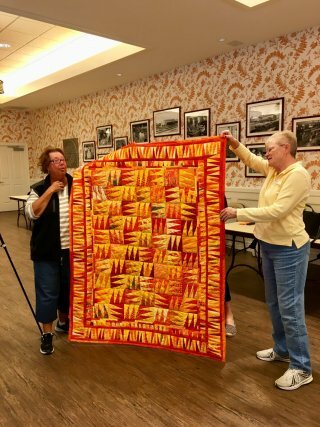 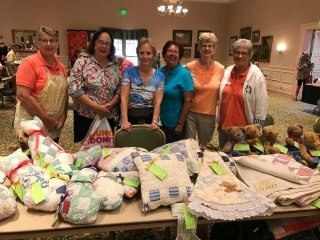 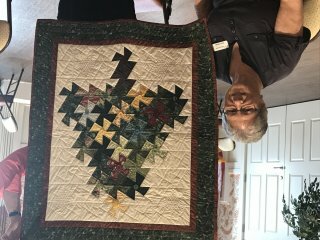 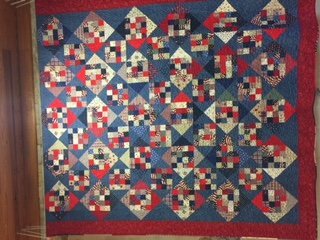 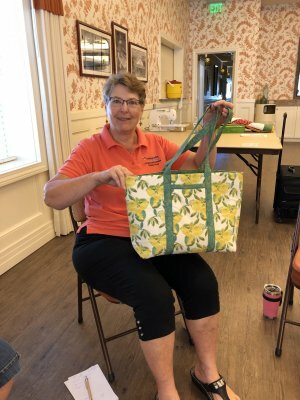 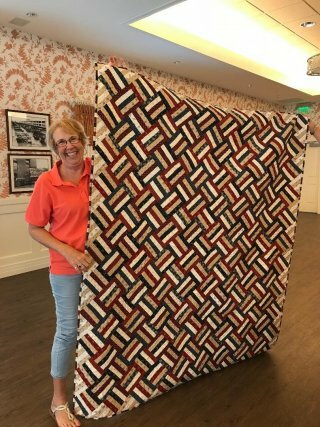 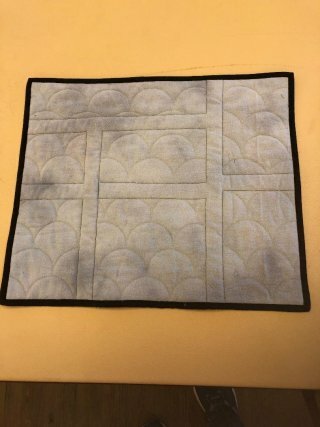 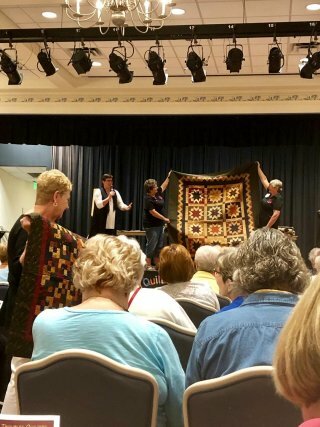 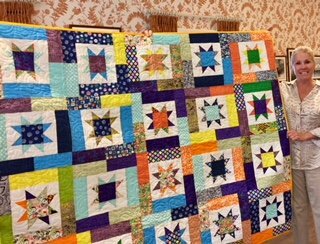 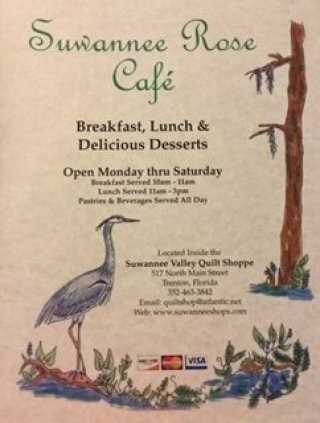 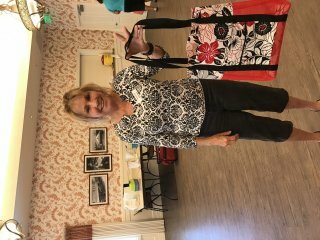 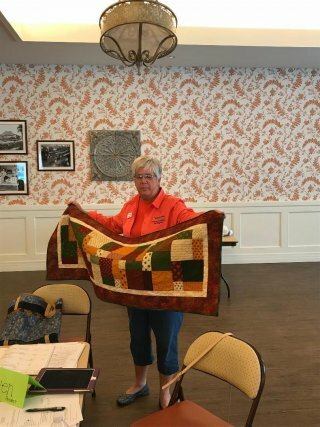 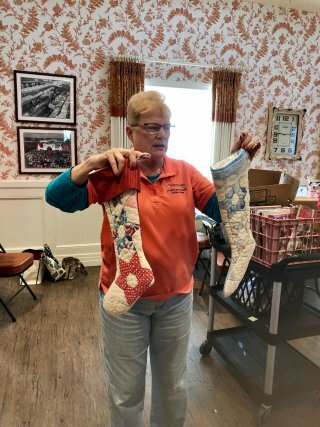 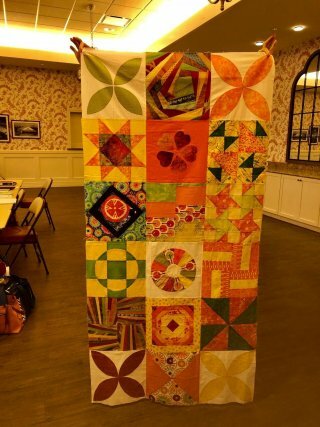 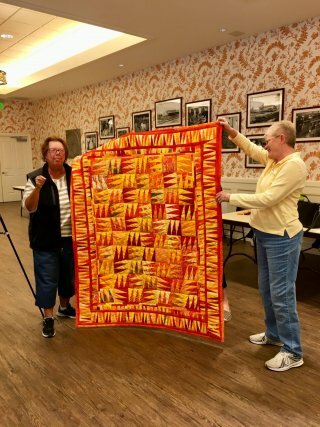 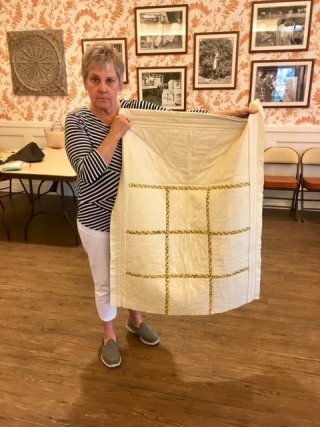 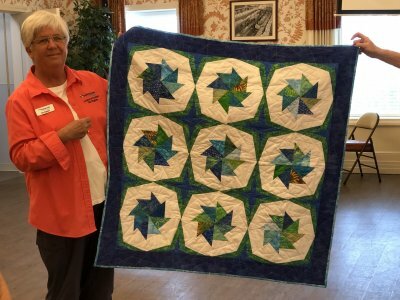 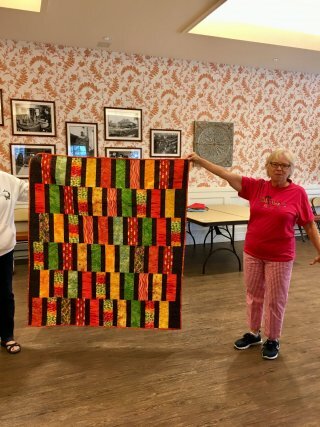 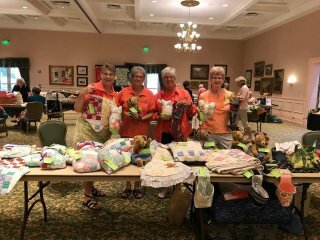 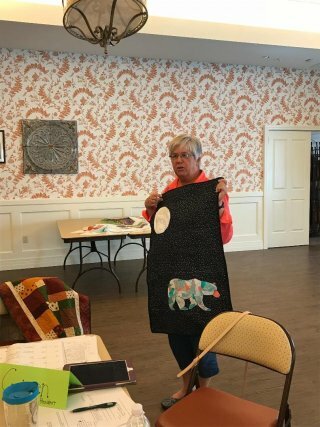 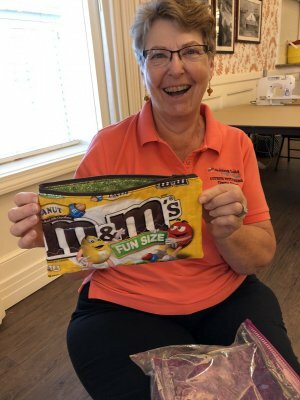 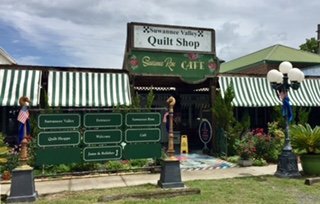 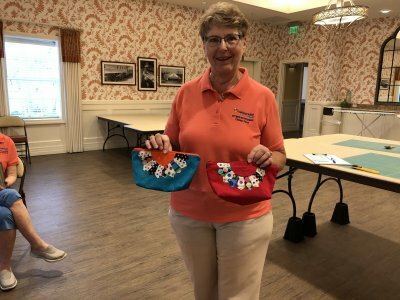 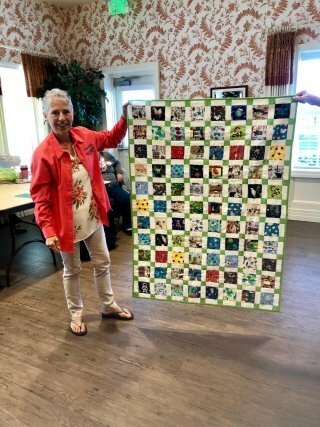 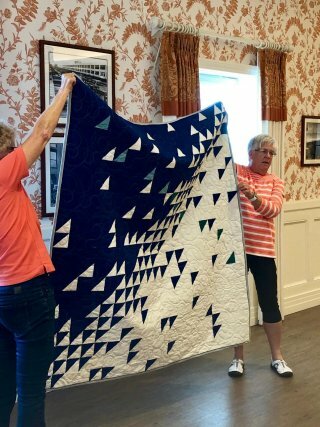 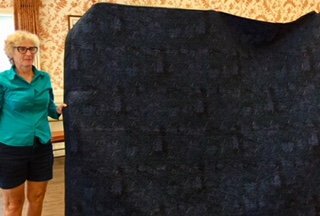 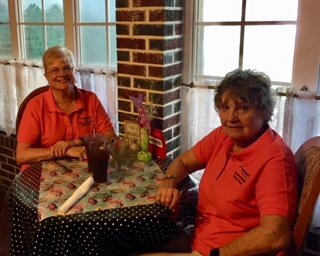 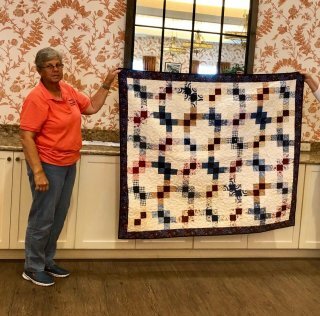 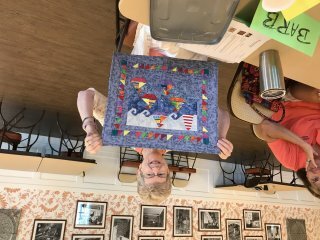 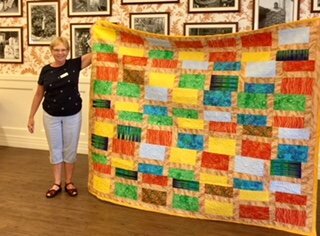 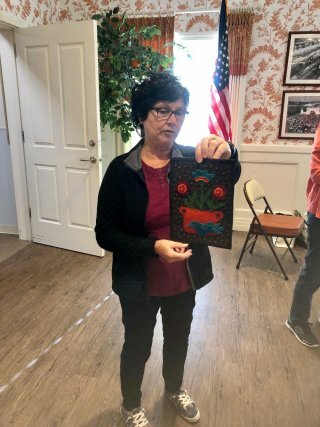 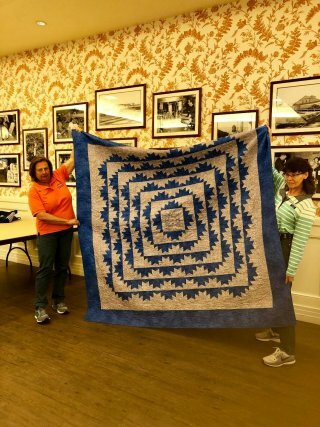 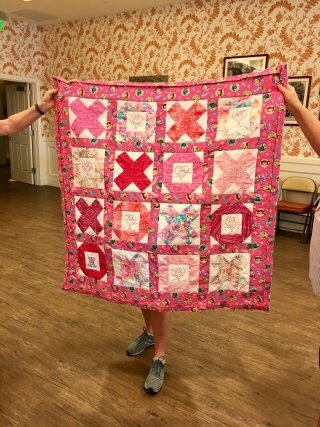 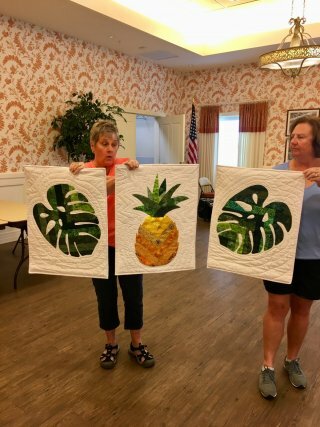 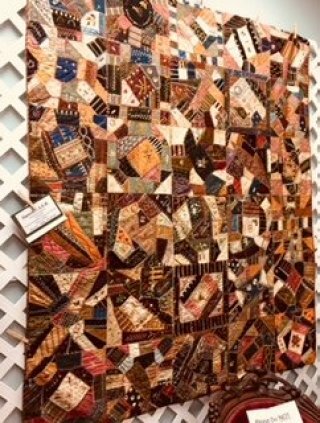 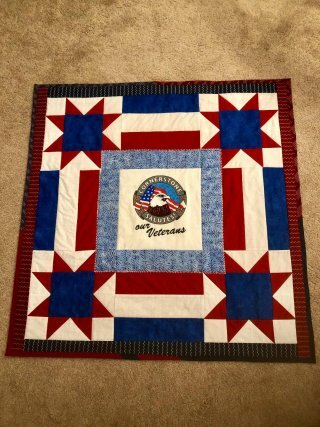 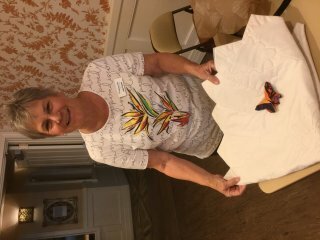 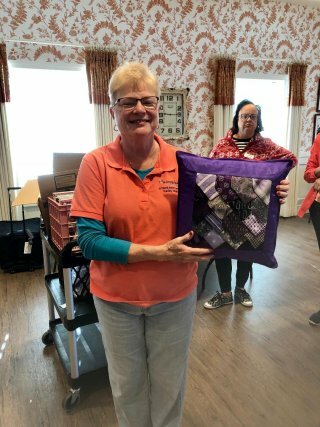 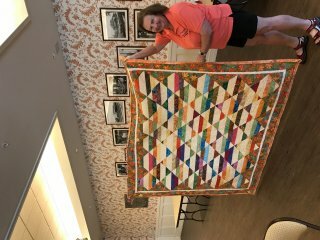 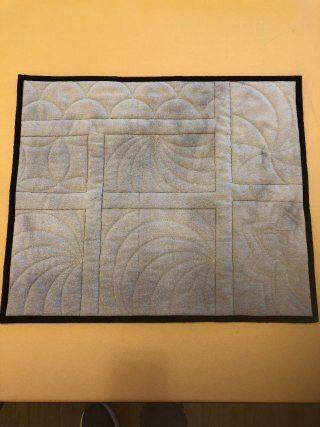 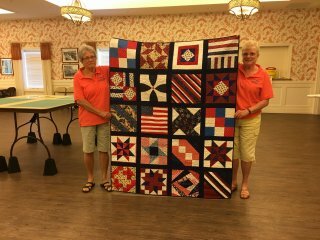 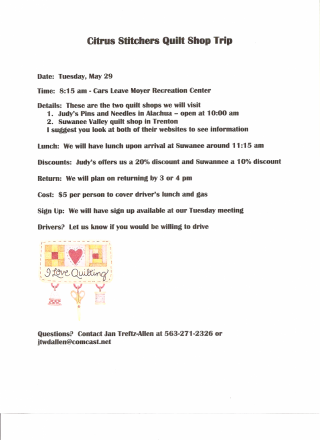 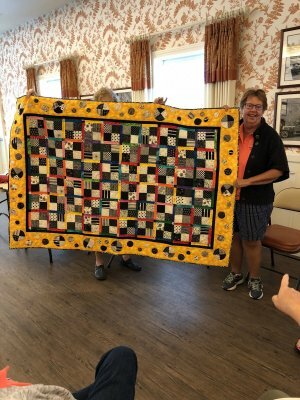 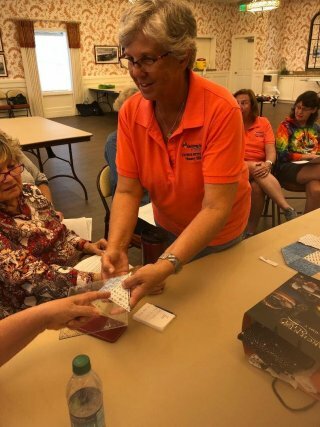 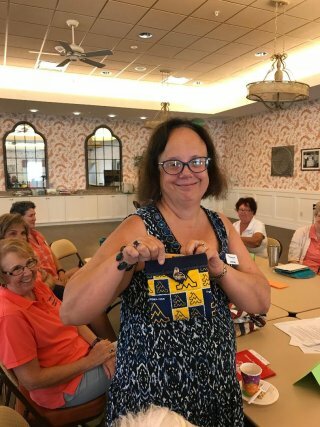 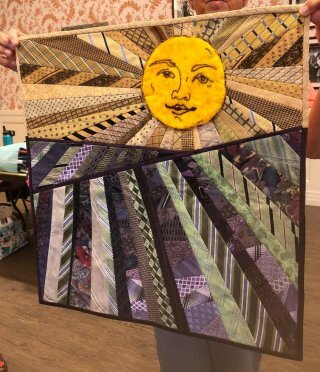 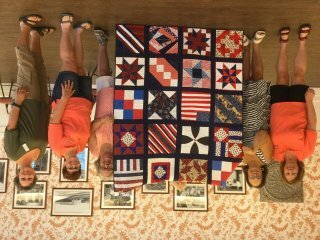 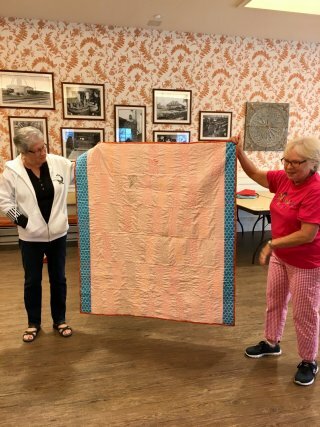 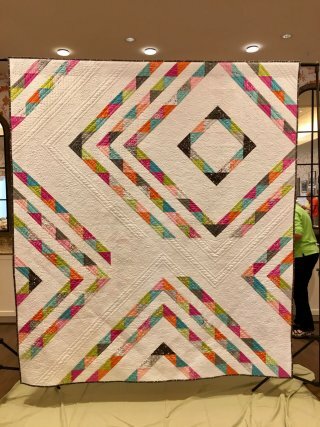 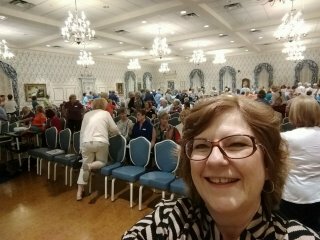 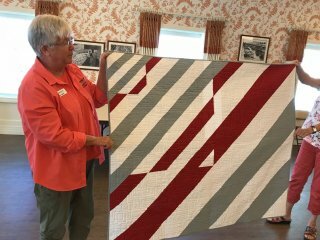 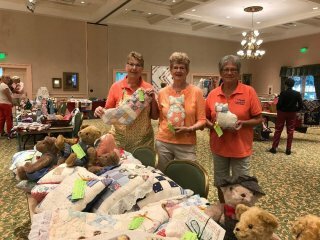 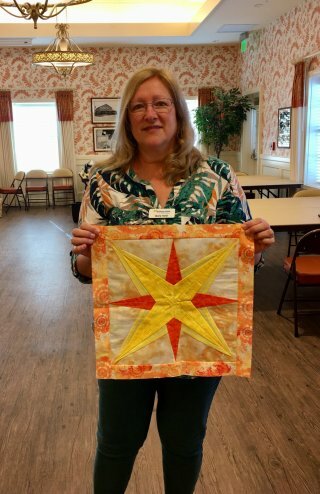 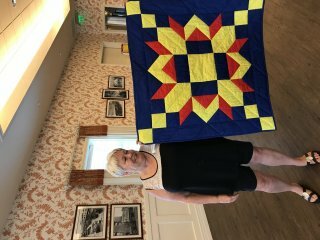 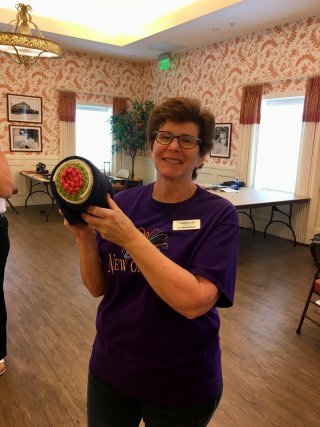 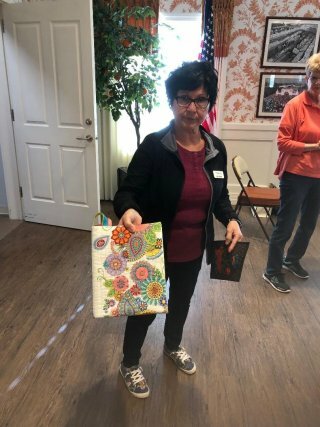 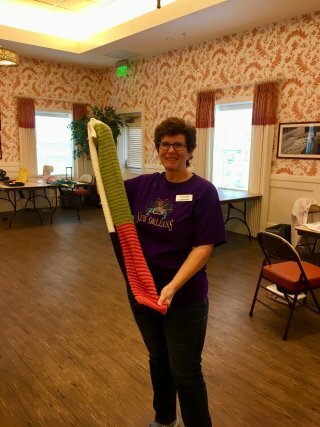 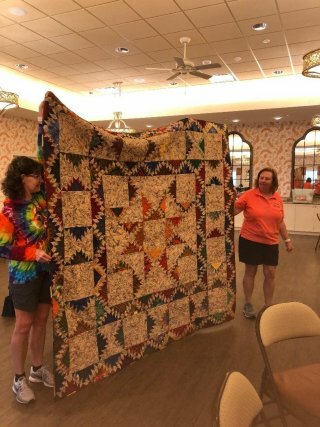 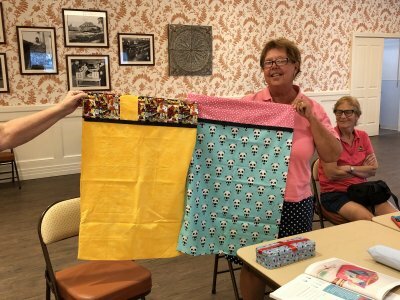 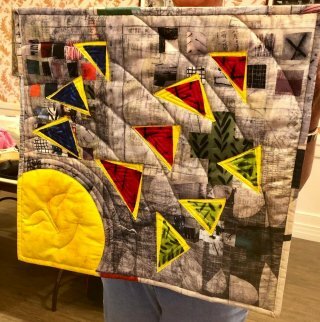 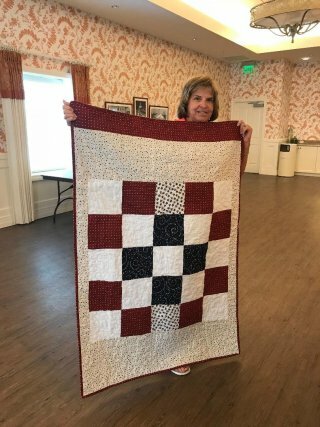 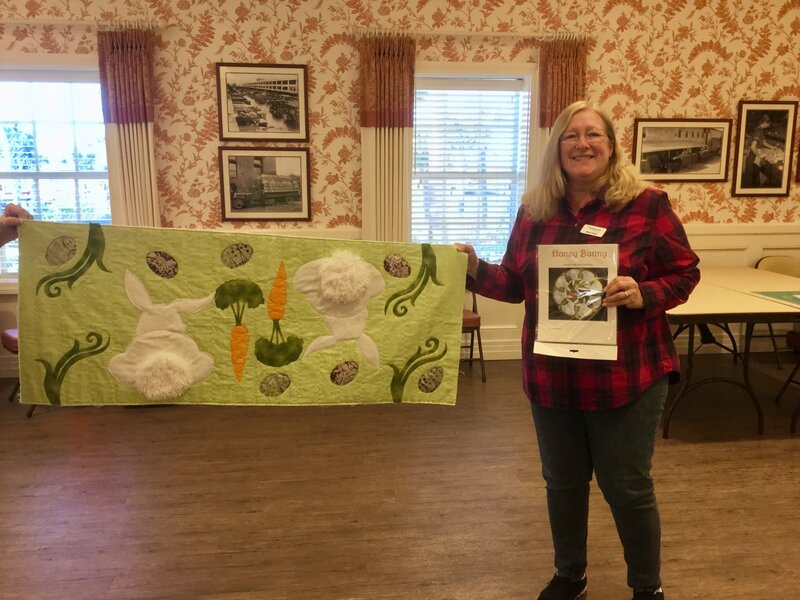 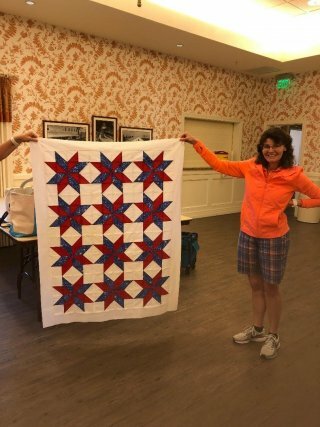 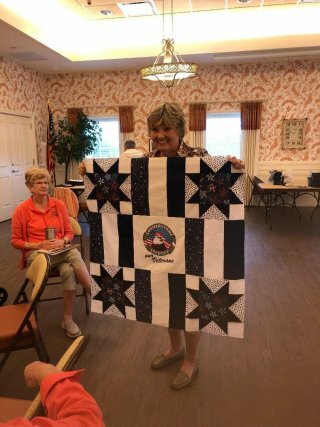 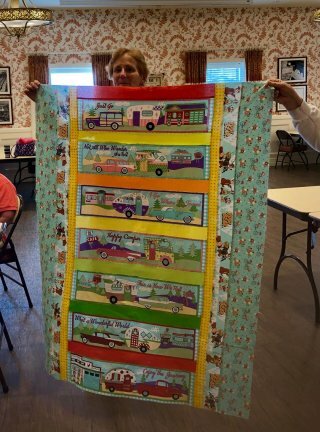 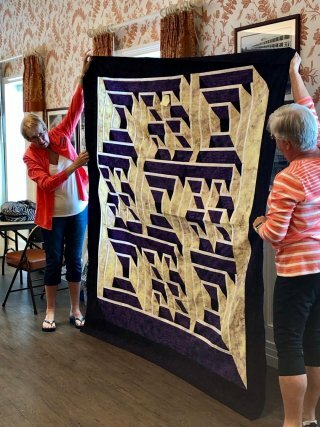 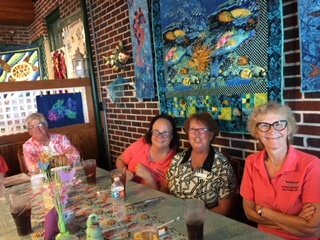 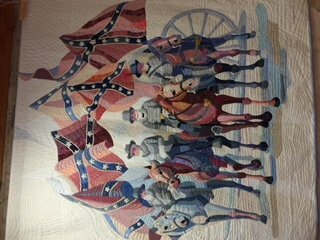 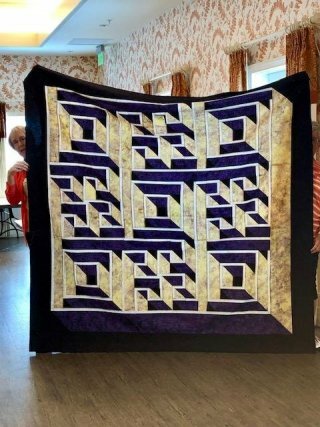 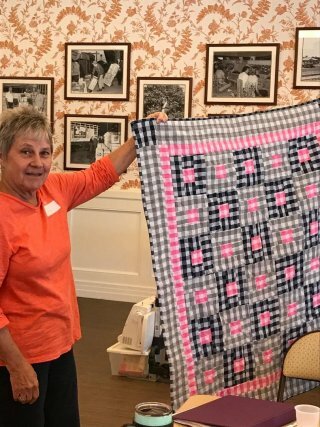 Educational Program - "What Judges Look for in a Quilt"
Presented by Members of Big Cypress Quilt Chapter, using their charity quilt, "Line Dance"
opens to provide ironing pad.